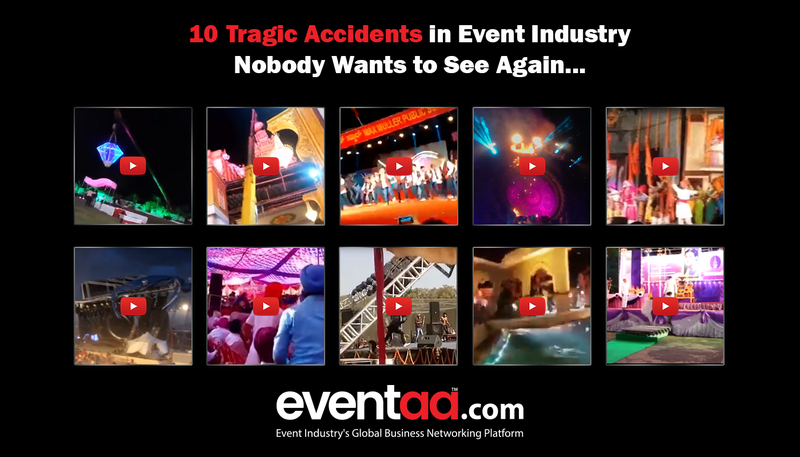 Safety in events has become a major concern among the event companies across the globe. Even with the best planning and implementation of measures, there’s always a fear of accidents or disasters. From a risk-management perspective, it's important not to lose sight of health and safety. The event industry is a dynamic space which is always evolving. There’s a lot of planning and preparation that takes place to organise an event. It is essential for event companies to follow safety culture as part of the event planning process. Event companies are accountable for the health and safety of all those who work for them and all who attends the event. During the planning phase, it is necessary to consider the size of your event, its audience, location and the logistics involved. Some emergency risks to consider are fire, injury, terror threats and natural hazards though there may be others due to locality or risks involved. Event safety has a full spectrum of issues, but emergencies are rare and often have big consequences. There have been various instances where accidents during an event have costed the labourers, workers and event attendees their lives and some accidents have completely destroyed the entire event arrangements. Here are few accidents that will inspire you to incorporate safety culture, next time you have an event! 7. And the same thing again! To avoid such incidents in your event, we humbly request you to incorporate proper safety measures even in the planning phase of your event. Have you ever witnessed any accidents at any events? Share your story in the comments below. well written... as the writer of this blog correctly advised, event organizers should include safety measures while planning events to avoid such accidents.